In recent weeks, there has been a flood of news around the country involving the sexual abuse of individuals. Most of this has come from the entertainment industry, and some in politics. The first crack in the dam holding back the truth of what had been going on in the entertainment industry was Harvey Weinstein. Then, as more survivors came forward, additional pieces of the dam holding up the façade of good reputations and images began to crumble, and the news cycle and social media have been buzzing ever since. To this point, at least 21 men from entertainment and politics have been exposed by those who experienced abuse. Seeing so many have the courage to state what happened to them makes me want to cheer, and then seeing so many (who have no clue about the situation) victim-blaming makes me want to throw the nearest object at a wall. As the father of a survivor, I have had to learn over the years that there are many techniques used by those who abuse and those who align themselves with them. I have also learned that the primary act of abuse may be long past, but that secondary abuse lives on and must be stopped. Secondary abuse can be carried out by those other than the one who committed the primary abuse. It causes emotional harm to the one who was abused which is why we need to have a candid conversation about the proper response regarding someone who discloses that they were abused. There is a proper response to those who disclose their abuse, the proper response is, “I believe you”. This phrase shows compassion and clearly states whose side you are on and that there is nothing to prove. When joining the side of the survivor, you are not forcing them to justify their allegation. There are those who will investigate, and in most cases, you are not the investigator. If someone chooses to disclose to you, the proper response is still, “I believe you”. The second thing you say has to do with safety, “I’m glad you are safe”, or, “Let’s get you somewhere safe”. The survivor chooses the when, who, and how much to disclose. Nobody else owns that information, the abuser and bystanders have no claim as to how the information is treated. Now let’s take a look at some statistics because we must know that what is flowing out of Hollywood is something that is right in our backyard. According to the American Society for the Positive Care of Children, 1 in 4 girls and 1 in 6 boys are molested before the age of eighteen. 34% of children are molested by family members and the younger a survivor is when they are molested, the increased likelihood that they were molested by a family member, and only 1 in 10 who are molested will ever tell. 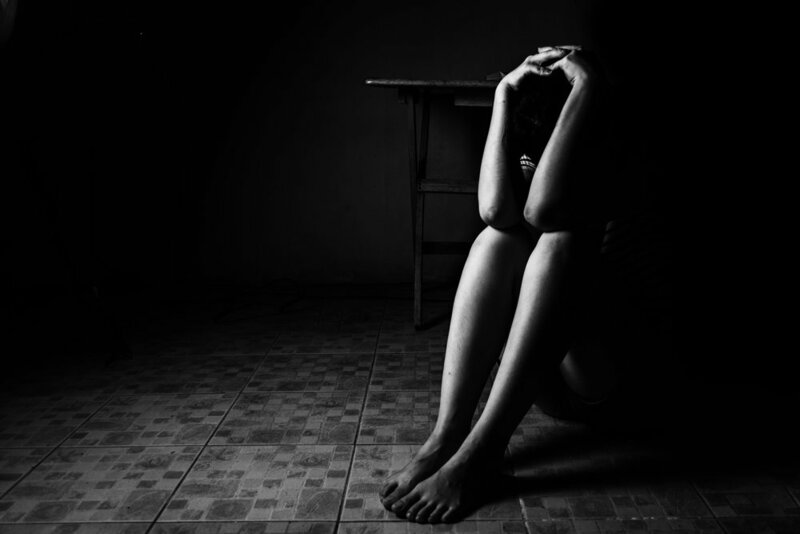 According to Darkness to Light, a non-profit working to bring awareness and end sexual abuse, 90% of all child molesters know their target, 40% of molesters are under the age of 18, and only 4-8% of accusations are false and the majority of those are made by a third party in a custody dispute, not the survivor them self. When dealing with adult sexual assaults, 90% of the attackers are known to the survivor and the numbers regarding the frequency of 1 in 4 and 1 in 6 remain the same. These statistics are stable across socioeconomic, regional, racial, and religious lines. On many occasions in the news or on social media suspicion is cast on an allegation because the question is asked, “Why now?” Many conversations go to a multitude of other questions, but those 6 characters separated by a space lead to double abuse. It is the survivor’s information to share. They can choose to share when and how the information is shared, or if they share their abuse at all. By asking questions of the survivor are we not misplacing our sympathies? Think about it, when asking a survivor, “why now?”, “what were you wearing?”, “are you sure?” “what did he do?”, you are putting one who has stated they have been abused in a position of defending their disclosure, and the question itself actually defends the individual who has been accused of abuse. This causes significant strain on the survivor, as the amount of courage to come forward having to admit they had been violated in such an intimate and personal way is beyond what many can comprehend. Those who would ask the questions leading to double abuse have the wrong colored jersey on. This is a big problem, and now that more are speaking of what happened to them, many are gaining the courage to speak up. With all of the media coverage many are remembering situations that happened to them years ago and are realizing what had happened to them and they are becoming vocal. There is a common theme that some in the media and in social media are doing that is disturbing that has to end because they are unknowingly committing double abuse. As someone who has dealt with double abuse for over a decade I can tell you it is just as insidious as the primary abuse because double abuse requires no contact, but rips open emotional wounds from afar. Double abuse is the sniper rifle of the primary abuser and the primary abuser often does not have to touch the trigger. That is left to those who knowingly or unknowingly side with the abuser. We need to know that empathy is the defensive weapon of choice for those accused of abuse. Many have spent a life of being “good” knowing that one day they may be accused of something horrific, and if they are “good” enough they will have defenders attacking their accuser instead of demanding justice. Those who have donated their fortunes to good causes, dedicated their life’s work to what people see as a good cause, and even outspoken defenders of Christianity are causes offenders will align with as cover should an allegation occur. As we look at some figures currently accused of such conduct, we can see the defensive empathy play working quite well for them. They deny and state their squeaky-clean façade then they resort to anger to entrench those who will defend the abuser. Their noise when doing good is paying off with anonymous defenders. Those who are empathetic towards the accused have the wrong jersey on. They are committing double abuse towards the one who made the outcry. Based on the trends, the expectation is that this will become worse before it is better. As Christians, it is our obligation to care for those who have been objectified and used with three simple words, “I believe you."